Needed a heavy duty stainless steel grate with a wide hinged opening. Made with 1/4" rod. One Happy Camper here! I have that same grate and two of the 22 inch grates, and I wholeheartedly agree! Mark Baron of KillaGrilla does first class work. Can't say enough good about his quality and also fair price and good service. To me, he is to kettle grill grates what "rcplanebuyer" (Dave Santana) is to Genesis grates and flavorizers. The grate you picked with the one large opening is especially nice. Works great with a Slow-N-Sear, Smokenator or the custom holder you have. 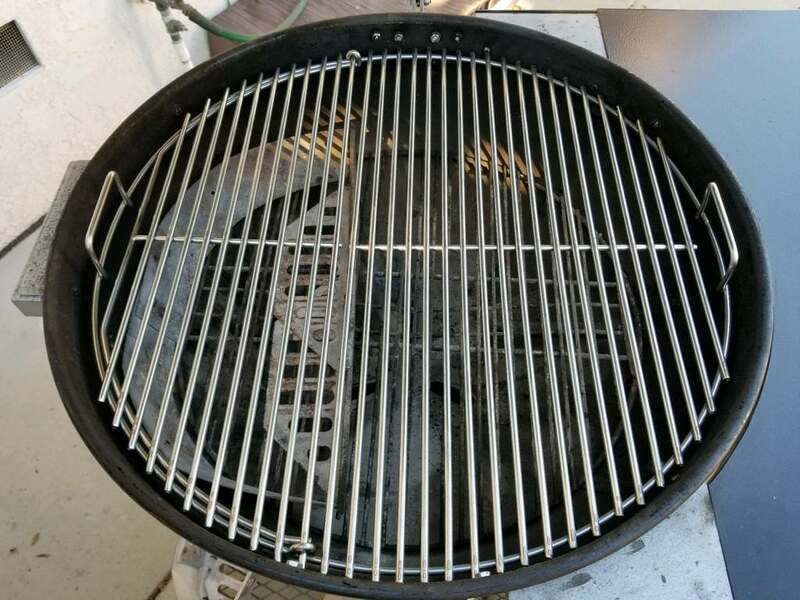 One of my 22 grates has the two smaller side openings like the Weber OEM ones. 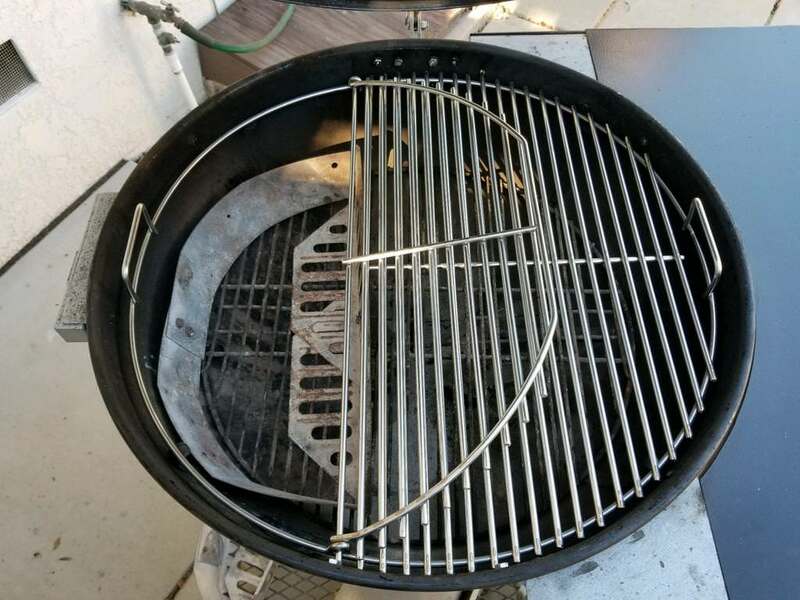 It is good if you want to split your charcoal holders, but not so good with a Slow-N-Sear. Mark is also the only source I know of for grates for the older "flat-top" 26ers like mine that have a smaller grate because it sits lower. Last edited by Jon Tofte; 10-21-2018 at 07:44 PM. Gotta get one of these for my 26! I can promise that you won’t be sorry! Your killing me! I have three already. Might have to flip a grill quick so I can get #4 ! If you really do NEED one, I say "Go for it!" You will be glad you did, and with reasonable care you won't need a replacement for decades.